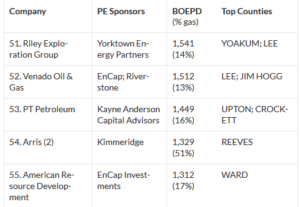 OKLAHOMA CITY, March 11, 2019 /PRNewswire/ — Red Wolf Natural Resources, LLC (“Red Wolf”), a newly formed upstream oil and gas exploration and production company, announced today that it has partnered with Pearl Energy Investments (“Pearl”), a private oil and gas investment firm. Headquartered in Oklahoma City, Red Wolf will pursue upstream development and acquisition opportunities focused in the Mid-Continent region as well as select Rockies basins. Red Wolf’s founders, led by Drew Deaton, Chief Executive Officer, and Jeff Dahlberg, Chief Operating Officer, have a history of success in acquiring, developing and divesting upstream oil and gas assets in many U.S. producing regions, most recently in the Denver-Julesburg Basin in Colorado and the Anadarko Basin in Oklahoma, having previously worked together at Ward Energy Partners, LLC. Kirkland & Ellis LLP served as legal counsel to the Red Wolf management team. Thompson & Knight LLP served as legal counsel to Pearl. Red Wolf Natural Resources is an Oklahoma City based upstream oil and gas company. Red Wolf is focused on selectively investing in upstream exploitation, development, and growth potential with the goal of creating significant value.